Trail running allows you to enjoy the great outdoors. Whether you have just started running or are an experienced runner, this event has been designed for you. The Stowe Summer Trail Run #2, 14th June 2019, will be the first in a three race series. This event is based around Stowe landscape gardens in Buckinghamshire. Stowe has become widely renowned for its magnificent gardens created by Lord Cobham and the history of the gardens goes back to 1690. The trail starts and finishes at the visitor centre at the New Inn.The trail takes place within the gardens. Bring family and friends along to cheer you on and celebrate with you at the finish. The course runs from the visitor centre down to the entrance to the landscape gardens. It will then take you around the gardens and you will run past many of the famous landmarks including the Temple of Friendship, the Temple of British Worthies and over the Palladian Bridge. After returning back past the 11 Acre Lake the trail will take you back towards the visitor centre. Enjoy the mix of paths, grass and gravel tracks. It is a safe undulating route and you can enter the 6km or 12km course. There will be marshals around the course and the course will be clearly marked. You will need to take caution throughout and pay attention to marshals wherever necessary. Toilets for both male/female are available. Ample parking is available; there are no charges for parking. It is important to note that there will be no access to the event site after 8.15am. This means all spectators need to be on site prior to the race start. Registration opens at the New Inn Visitor Centre at 6pm. Race start time 7:15 pm. A booking fee of £1 per entry will be charged by our online entry partner, Results Base. For insurance purposes the minimum age for this event is 16 years old. Please note, there will be no on-the-night entry for this event. There will be awards for the 1st, 2nd, 3rd male / female for both the 6km and 12km. There will be a medal for all finishers and spot prizes. 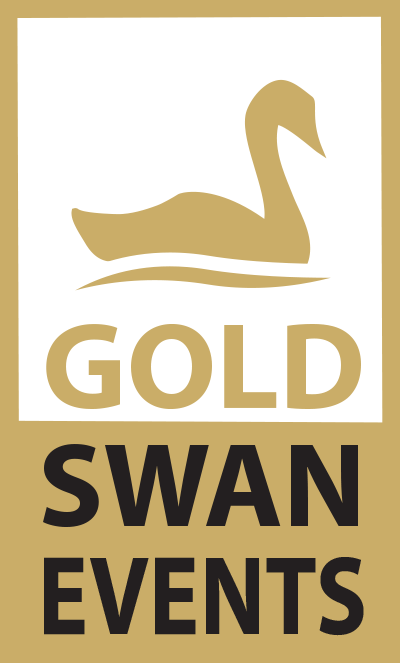 This event is organised by Gold Swan Events in conjunction with Big Cow Events.